B.M. in Music from Cairo Conservatory of Music. B.S. in Microbiology and Chemistry from Ain Shem's University. M.M. in Music from the Cairo Conservatory of Music. Performance experience includes performances at the St. Anthony Cathedral in London, England, the Library of Congress, and several other local and internantional venues. 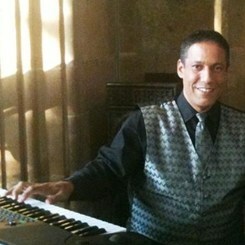 Mr. B has over 25 years of teaching experience with all ages on piano, guitar, saxophone, and oriental Oud(Lute). He teaches all styles of music such as jazz, classical, pop, arabic, and more. Request Lessons with Shafik Bastawrous today!